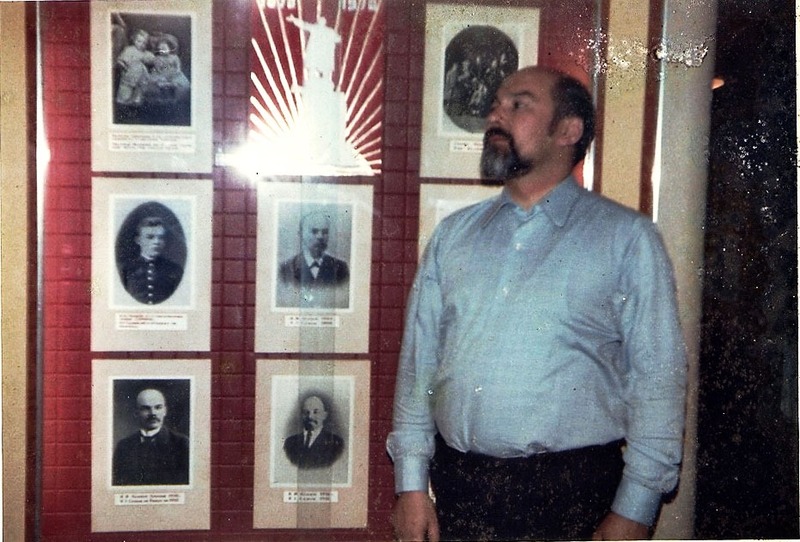 My father, Colin Rieley, being only mildly disrespectful to Lenin. On December 8th 1973 my dad was heading home from work. He was a teacher at a prep school that fed children into the elite public school system and well loved by his pupils. Every year he would supervise the school skiing trip to Switzerland as he had a gift for languages and could speak French, German and even passable Italian. My mum went with him one year and never forgot the welcome the local people gave him. My dad was an inspiring teacher who specialised in English and drama. He was a writer himself and had met my mum when he was working as a stage director in rep companies during the school holidays. In his younger days he had acted himself, including a spell in the Brian Brookes Company in South Africa. He had been working on a novel and it had been accepted by a publisher.,,but he never finished it. He had to pay back his advance. He had gone back to college. He needed further qualifications to teach. He was studying to teach special needs students. That spring my mum and dad, my great aunt and me went on a cruise on a Russian ship. It was the cheapest option. There were pictures of Lenin all over the ship and everyone commented that my dad was a dead ringer. One night my mum and dad snuck down to the corridor to take the picture at the top of this post. This was the only version of the shot on the roll that wasn’t blurred from my mum’s laughter. Every night they sat at the Captain’s table. He enjoyed my dad’s company. Exactly 42 years ago tonight, my dad stopped off to buy a bottle of wine. At home my mum was writing Christmas cards. It was to be their first Christmas at home as a family. I was upstairs asleep in my cot. My dad stepped off the pavement to cross the road and that’s when everything changed. That’s the moment that clever, funny, kind man went away. All that possibility stopped. A coach driver wasn’t looking where he was going. He swung into the road just as my dad was crossing. It couldn’t end any other way. My dad was 42 years old. My mum always hated writing Christmas cards after that. She was writing them when the doorbell rang. She told me she knew as soon as she heard it there was something wrong. There were two policemen there, a man and a woman. There are always two for things like this. I know the details of that night by heart, even though I was a sleeping baby. I used to have a recurring dream that the doorbell rang and my dad was standing there. Until I learnt he never would. Even so I still dream it sometimes, he’s tanned as if he’s been away. I’m not angry he’s been gone so long just happy he’s back. My tears usually wake me up. My mum was a poet as well as an actress. She wrote about that night. She didn’t show me the poem until I was grown. I’ll share it here now. Be wasted in one foolish streaming night? Be appraised and mourned in such brief stunned hours? Made me conscious of intrusion. I feared the worst but could not think it. That your warm grasp was loosed forever. December 8th has had other associations for years but it will always be the day my father died. Every year my mum would ring me around this time, just wanting to talk about him. This pain never goes away. I don’t remember my father but I still feel his loss, even after all this time. That’s what careless driving does. Whether you drink and drive or you just don’t take care please think. Please take care. Don’t do this to someone.